Once described as “Dixieland apartheid’s number-one organization man,” William James Simmons was best known for his leadership as an administrator in the influential Citizens’ Council, an organization that fought to keep blacks and whites in separate schools. Simmons was born in the small town of Utica, Mississippi, on 7 July 1916. His family moved to Jackson when he was eight years old, and his father became one of Jackson’s most prominent bankers. Simmons attended Millsaps College before graduating from Mississippi College in 1937. He traveled extensively in Europe and South America and studied at the Institut de Touraine in France, prior to World War II. 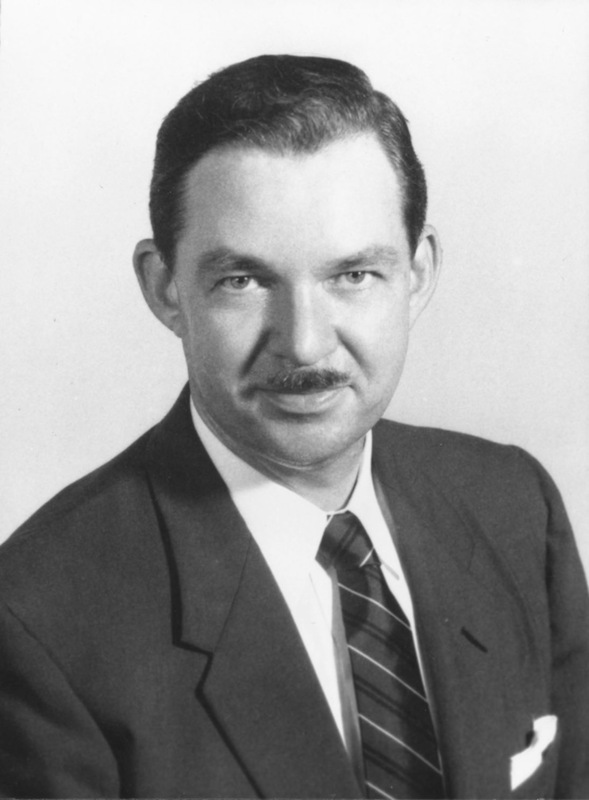 He served in the war with the Royal Engineers of the British Army in the British West Indian Command and with the US State Department in Washington, D.C. Before his involvement with the Citizens’ Council, Simmons established several brief business ventures primarily in the fruit and vegetable brokerage industry. However, he found little financial success in these endeavors. Simmons lived in New Orleans for nearly a decade before returning to Jackson in 1954, the same year that the US Supreme Court ruled school segregation unconstitutional in Brown v. Board of Education. Soon thereafter, Robert “Tut” Patterson organized the first Citizens’ Council in the Mississippi Delta town of Indianola, and Simmons joined forces with Patterson in the spring of 1955, when they organized a meeting in the lobby of the King Edward Hotel in downtown Jackson to discuss the expansion of the Council’s scope of influence into the capital city. The Council sought to maintain the system of legal segregation, and its motto focused on states’ rights: “Dedicated to the maintenance of peace, good order, and domestic tranquility in our community and in our state and to the preservation of our States’ Rights.” Simmons became a card-carrying member, and he published the first issue of the organization’s journal, Citizens’ Council, in October 1955. Simmons went on to devote himself full time to the council. When the Citizens’ Councils of America moved its headquarters to Jackson in 1960, Simmons became the organization’s de facto head, serving as the editor and publisher of the Citizen, as an administrator for Citizens’ Councils of America, and as president of the Citizens’ Council Forum. He was also a founder and president of the Council School Foundation, working to enhance the private school movement in Jackson with the establishment of Council schools. Simmons retired from his duties with the Citizens’ Council in 1990. He subsequently ran a bed and breakfast, served as president of the Downtown Jackson Association, and was active in the Jackson Chamber of Commerce and the Sons of Confederate Veterans. He died on 24 November 2007.